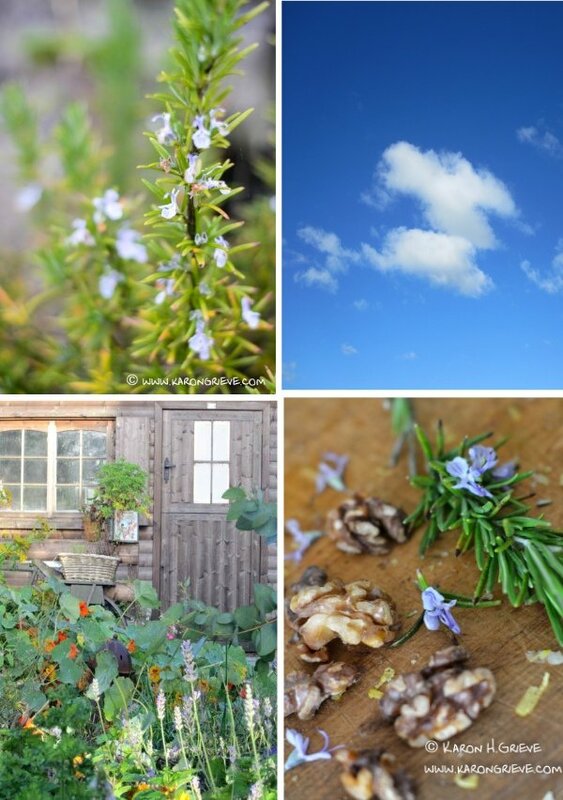 Many people think of rosemary only as a winter herb. Her robust flavour and ability to dance with the heavyweights like roast lamb, beef and hearty root veggies tends to tuck this herb neatly into the cooler weather box of kitchen classics. But I love rosemary whatever the season, and when, like now she is decked out in all her summer finerly with tiny blue blosoms like Christmas ornaments highlighting her prickles I just have to keep picking and use her in as many ways as possible. One of my favourite ways to use this herby delight is to make rosemary & walnut pesto that I can use now and also pop into the freezer to enjoy later in the year. Pestos are so simple to make, but many folks fall into the trap of just thinking there is only one sort available – the ubiquitous dull green basil pesto found in all supermarkets. This is such a shame as you can whip up your own pesto using a huge variety of ingredients and end up with something that will add that all important flash of flavour to all sorts of dishes. 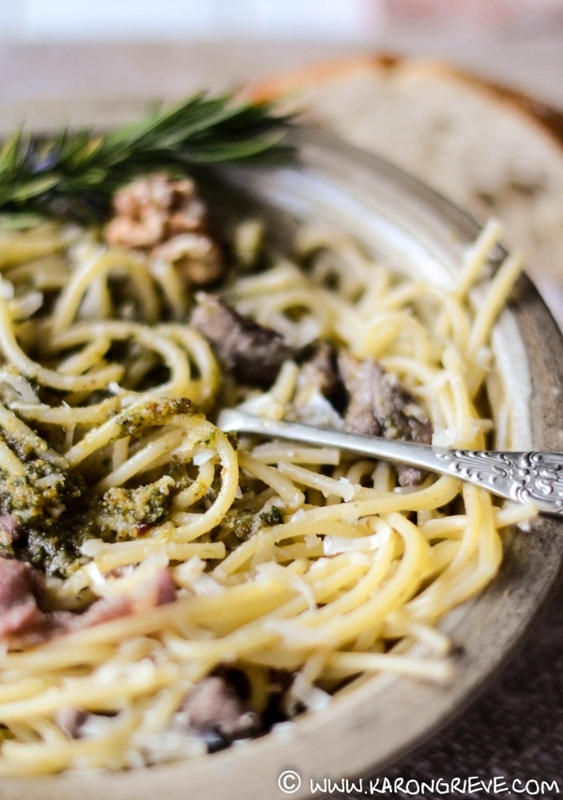 This rosemary & walnut pesto is not for the feint hearted who like their pesto bland. This is one gutsy lady packed with robust flavours and more of a pesto putanesca! She is full of passion and vitality, you will not forget her in a hurry. Like all pestos you can use this one to spread liberally on bruchetta, or just plain old toast if you don’t want to be fancy about it. Top with a few roasted baby tomatoes to zap up that flavour package. Rosemary loves tomatoes and I often use a sprinkling of chopped rosemary on a tomato salad instead of the usual basil as it really enhanses the flavour of the tomatoes without hiding their summer freshness. The other great standard for pesto is of course to stir it through your pasta as a super simple fast food sauce. Fry some lardons or snips of bacon and toss these in as well. This robust pesto just relishes all that depth of flavour and you will have one heart meal on your plate within a few minutes. 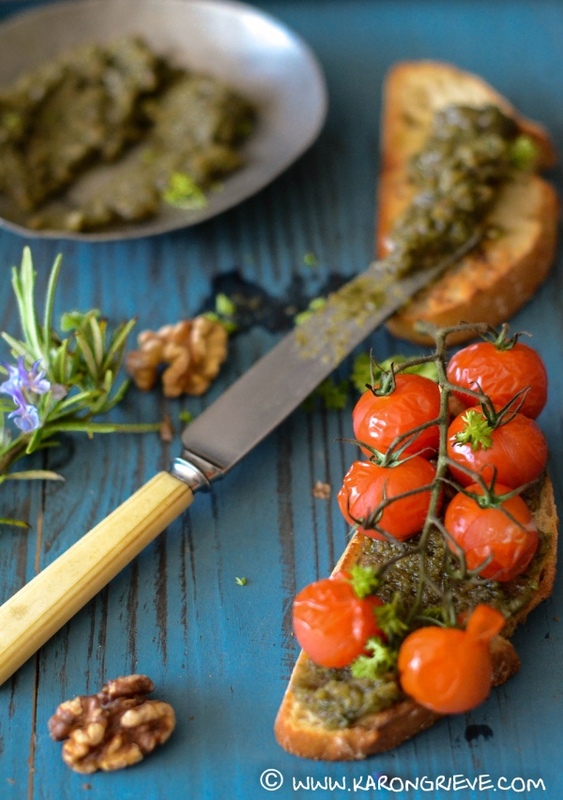 So here is how to make this Rosemary & Walnut Pesto, it is quick and easy and oh so tasty, I’m sure you will be converted and find yourself blythly skipping past that boring green supermarket sludge from now on. 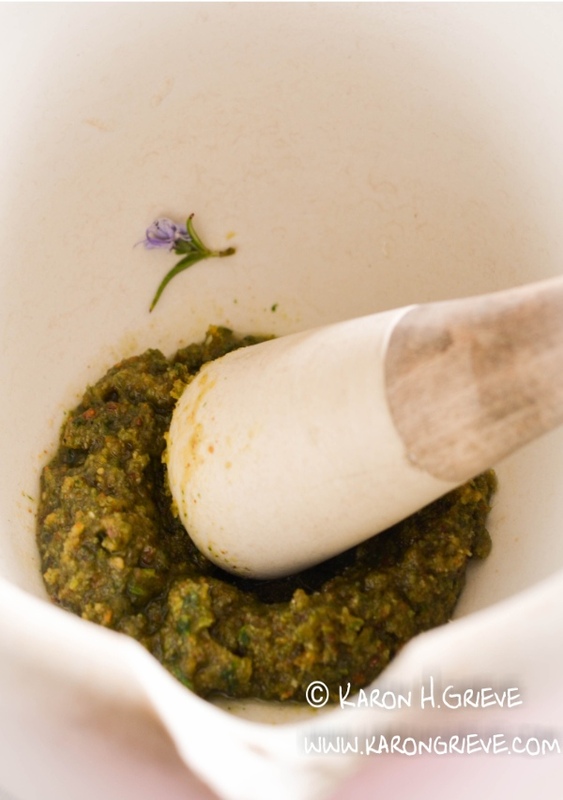 Toss the rosemary, parsley, garlic, walnuts and lemon zest and juice into food processor and blitz to a paste. Go rough or smooth, it is up to your own personal taste. Add the parmesan and blitz again. Now start pouring in the oil until you get the consistancy you like. Allow to chill in the fridge for 30 minutes to let those flavours develop. Citrus Spiced Jam for Jamuary! Must give this a try – often make my own pesto using various foodstuffs. A favourite with the family is broccoli and walnut pesto. Guess I always thought something like rosemary would be just too strong, but sounds delicious. Admit to a really soft spot for basil pesto, but it HAS to be homemade. Your broccoli and walnut pesto sounds great. Like you I really do feel that pesto just has to be homemade to have any taste at all. Thanks for the great recipe it has ingredients that I have on hand. I love rosemary and use it at all the time. Try it Judy and let me know what you think. This sounds really yummy! How do you find all these great things to make, Karon!.You are so talented. Thanks for sharing! This one was simple really as I have lota of rosemary as it is my favourite herb. Just had to try it in pesto! Glad you like the sound of it. This sounds lovely. 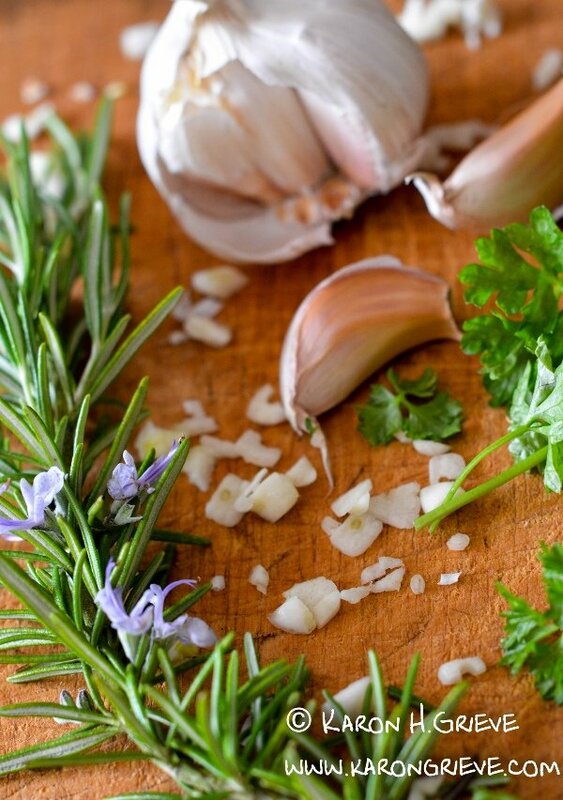 I make all types of pesto but I have never used Rosemary …. duh … why not I’m asking myself now, I love the stuff. I’m giving this a go later, I have all the ingredients and it’ll bug me now if I don’t. 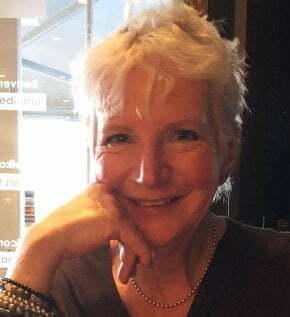 Let me know what you think when you make it Sue. Hope it becomes a regular for you. Glad you iked it and got creative with your leftovers too!